It was hard to miss the dramatic news of 21 Savage’s arrest at the hands of US Immigration and Customs Enforcement (ICE) this week, as the rapper was forced into deportation proceedings and into confirming his place of birth. Meanwhile in the UK, an equally brutal blow was being inflicted on another black man in the music industry. As a nation - instead of pointing the finger at Trump and sharing witty memes about 21 Savage - we need to face up to the fact that we have our very own walls in the form of Calais, the Home Office and the ‘hostile environment’. 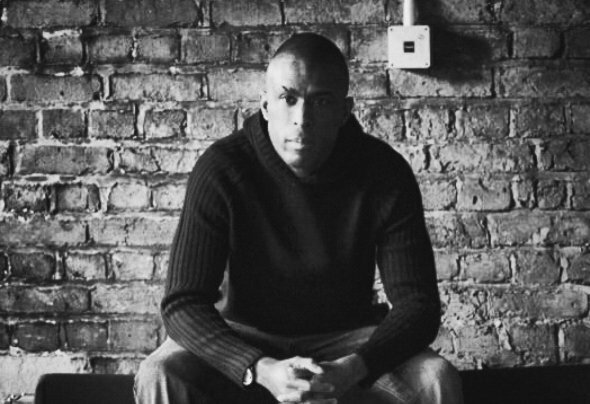 - Like 21, Mad Rush MC (real name Owen Haisley), has had his identity questioned and raked over the coals, as well as the threat of deportation and long term separation from his children hung over his head – all by the state that he’s called home since the age of four. 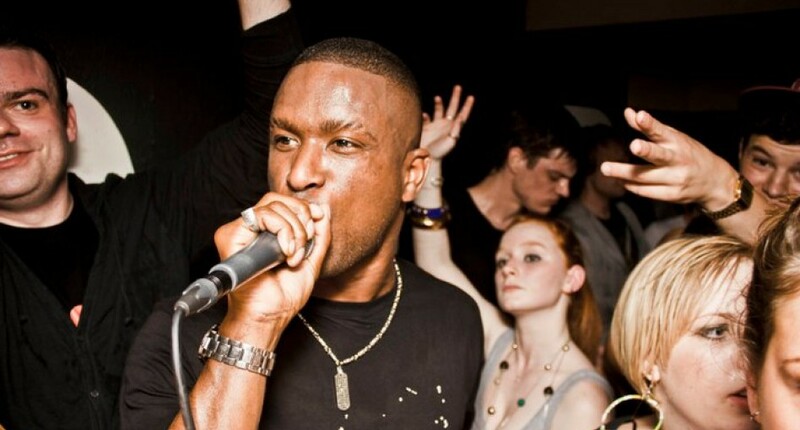 The Manchester drum ‘n’ bass figure went from playing events like the Warehouse Project and Creamfields, and working with people like DJ Rap and Aquasky, to being just hours away from expulsion via a charter flight to Jamaica this week. This led to outcry from many in the industry and a petition protesting his forcible removal reaching over 100,000 signatures. A flight is due to leave tomorrow that will deport over 50 Caribbean nationals to Jamaica. This includes D&B's Mad Rush MC who arrived in the UK legally and has three children. Today, the Guardian reports, he was one of six people granted a last-minute reprieve, but this doesn’t make the experience any less of an ordeal, and the parallels with 21 Savage’s case should give UK citizens pause. Mad Rush has been living in the North West of England since the age of four, initially arriving in the UK in 1977 with his mother on a Jamaican passport. As well as his prolific work in music, he’s also worked as a youth worker, and has three young children - all of whom are British citizens. His great aunt was part of the Windrush generation, and despite being given indefinite leave to remain, in March 2018 he was detained by UK Immigration and held in a removal centre for five months. His original deportation flight was booked for that year, but was then cancelled for reasons the Home Office didn’t disclose. It appears Mad Rush has fallen foul of the government’s widely criticised and discredited ‘hostile environment’ policy: the Home Office’s way of ‘catching out’ illegal immigrants, which has had a huge impact on the Caribbean diaspora in the UK. The ‘hostile environment’ policy may be UK-specific. But there are worrying parallels between the fates of both men. Like 21 Savage, the issue of criminality (perceived or otherwise) seems to have played a part in Mad Rush’s plight, which raises stark questions about the disturbingly enduring notion of the ‘deserving immigrant’ – the state expecting individuals to earn their rights with good behaviour. It seems ICE are well versed in the detail of visa expiration, but less so in whether charges result in actual convictions. Mad Rush’s problems apparently started after he was arrested and charged for a domestic abuse incident, which he discussed candidly with the Independent earlier this week. “I did wrong – I deserved to be locked up for that. And I’ve done my sentence. I did all the rehabilitation classes, I did anger management, I did restorative justice. I used my time positively and constructively,” he said. Both artists also seem to be victims of complicated visa systems. DJ Mag reported this week that Rush didn’t apply for a British passport, believing (and being advised) that being given indefinite leave to remain would mean he’d not encounter issues like this. ICE claims that 21 is a UK citizen who’s “unlawfully present in the US”, and this week the rapper confirmed that he’d been born in London but disputes both the chronology of ICE’s version of events and the underhand nature they’ve implicitly attributed to his actions. ICE claimed the rapper arrived in the US for the first time in 2005 aged 12, which 21 Savage denies, saying he’s been there since the age of seven, and only left for a month in 2005 to visit the UK before returning with a valid visa. 21’s whole family - including his sisters, mother and three children - are living in America legally, some as US citizens. His legal team says his legal status expired in 2006 “through no fault of his own”, and that he applied for a U visa in 2017 upon realising he needed one. Questions of insecurity and identity, and the threat of deportation seem to have taken on a specifically racist tone in recent years, uncovered by the Windrush scandal. It was reported last summer that at least 83 British citizens with Caribbean heritage may have been wrongfully deported (with Home Office figures suggesting the number could be more than 160, when taking into account those who were detained but not deported), but home secretary Sajid Javid pledged to apologise to just 18 families. Windrush citizens have still faced delays in confirming their right to remain, and are unable to work, study or claim benefits during this period, and there remains an undisclosed number of people deported after having been convicted of a crime, despite still technically being British citizens. 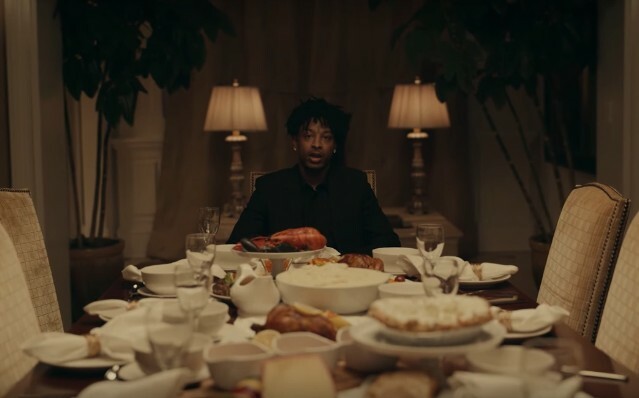 The reprieve of Mad Rush MC should be welcomed, and 21 Savage will hopefully soon be back in Atlanta – his home – reunited with his family, but there are many others in similar positions who don’t have national media reporting their stories and the music industry giving their support. These two cases expose how unjust and inhumane the immigration systems are in both the UK and the US, and we should all be very, very angry about it.